Ahoy there Sewalongers! This week things start looking real good... and today we'll be getting the bulk of it done and making up the bodice of the Elisalex Dress, with sleeves. For those of you going down the sleeveless or Reversalex route, your bodice post will be coming immediately after this. 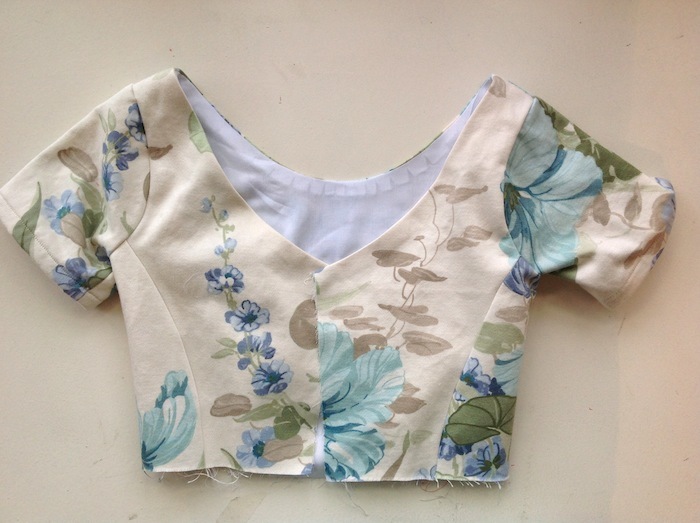 So assuming you're not too traumatised by the FBA post last week, let's start sewing! We're going to start by joining the Side Back panels to the Centre Back pieces. 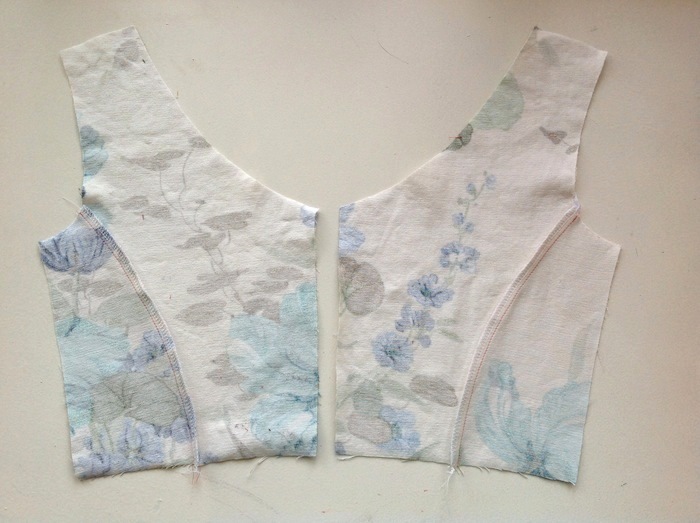 Princess seams (the rounded seams on the bodice that hug our curves creating that beautifully feminine shape) can be a little fiddly at first, getting the hang of easing the two rounded edges together. The back pieces are much easier, so let's start with those! 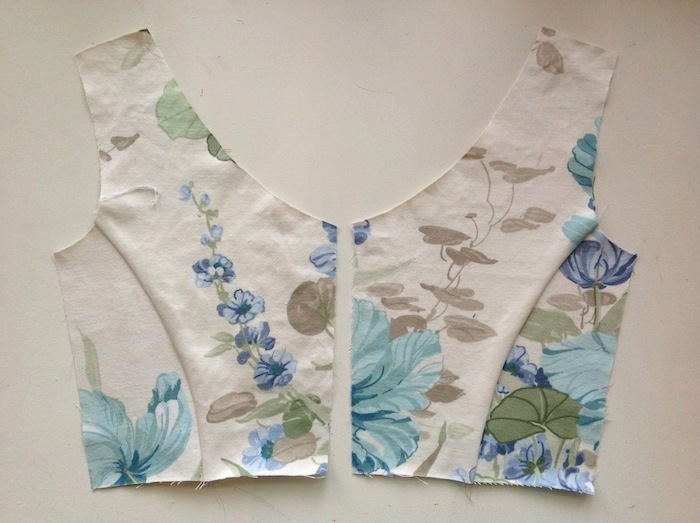 Gather your Bodice Back pieces - 2x Centre Back & 2x Side Back panels, and a bunch of pins. Stitch into place, remembering the 5/8" or 15mm seam allowance. Don't forget to backstitch at the start and finish of your line of stitching! Press towards the side seam (yup, just noticed that we pressed it the wrong way...! Towards the side seam people! Do as we say, not as we do, clearly...!). We have used pink thread purely to highlight the seam for your viewing pleasure - don't do this at home folks! Choose thread to match your fabric!! Now we're going to do the exact same thing to the front pieces. This will be a little trickier as we have a more dramatic curve to ease in. Still with right sides together, pin Front & Back together at the side seams. Now it's time to assemble the sleeves. This will be the same regardless of whether you've cut a short sleeve, 3/4 length sleeve or a long sleeve. 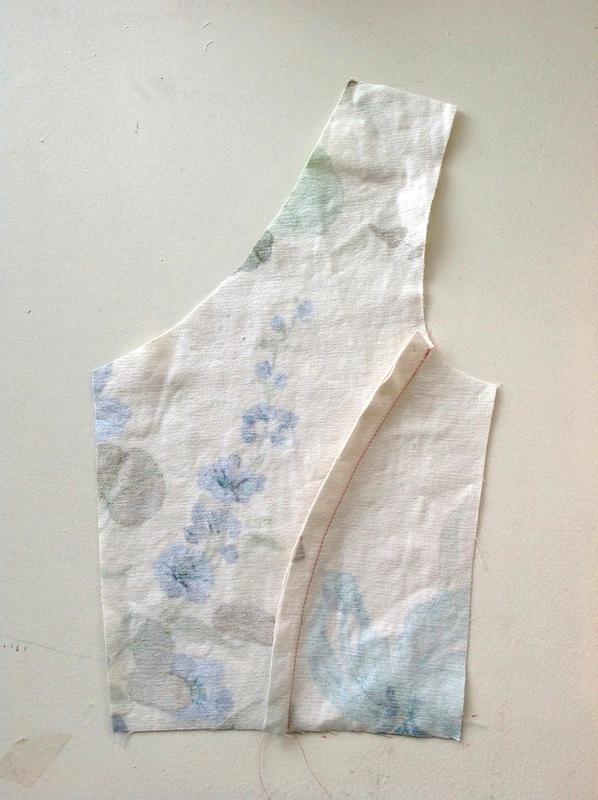 With right sides together, pin the underarm seam into place. 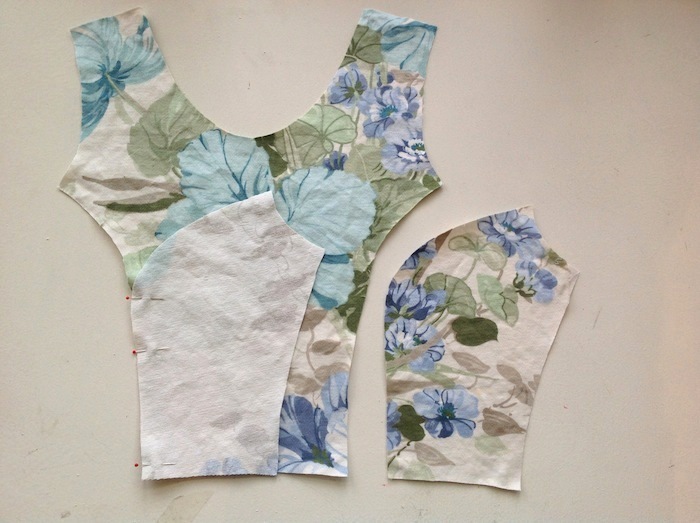 Stitch, press open, finish excess seam allowance. Repeat for the second sleeve. 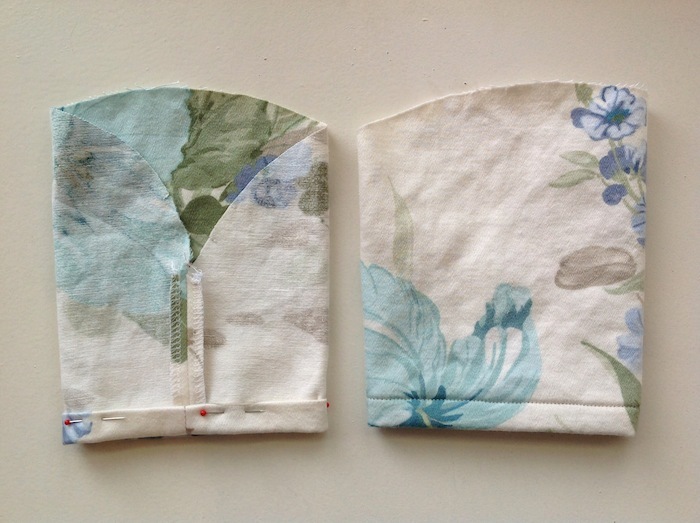 To hem the sleeves, simply fold and press the raw edge in by about 1/4", then fold and press in again by about 1/4". Pin into place and repeat for the second sleeve. 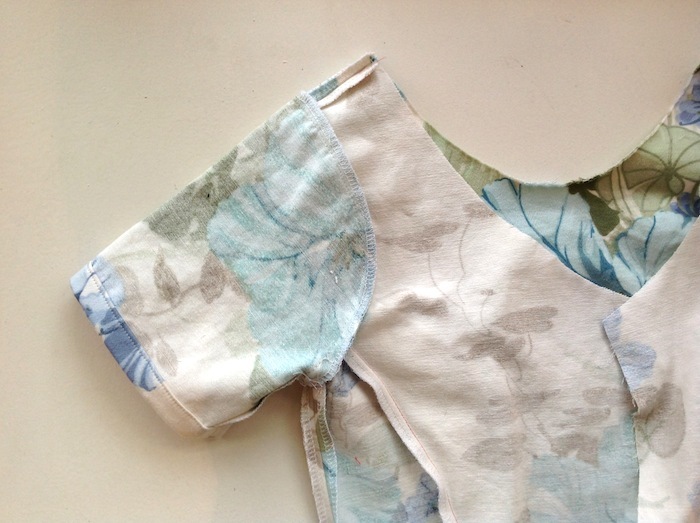 Make sure your sleeves are the same length before you stitch! 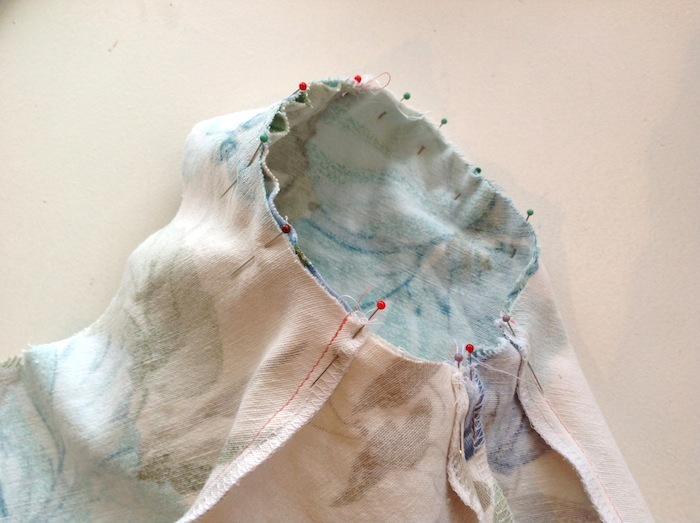 Stitch the hems either by machine or by hand for an invisible finish. 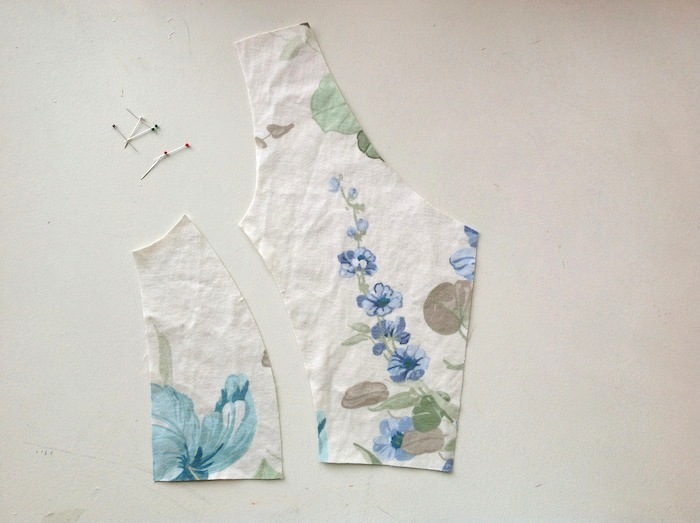 Turn your sleeves to the right side, whilst keeping the bodice inside out. 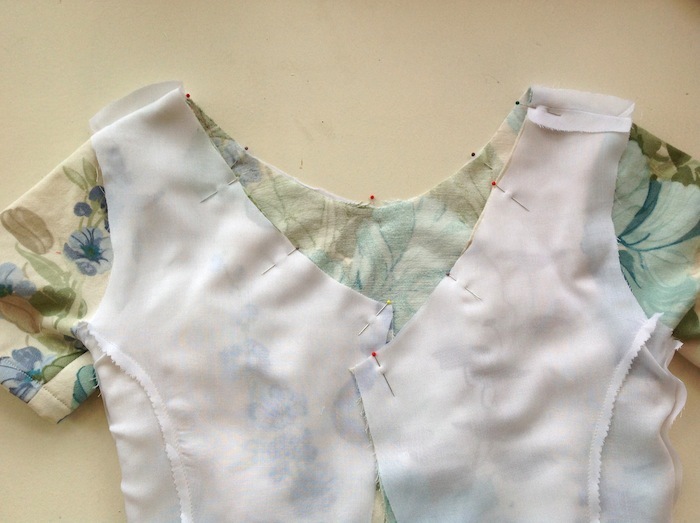 Pin the sleeve head to the armhole of the bodice, matching underarm seams, the notch at the top of the sleeve head to the bodice's shoulder seam, and the other notches to the princess seams. It's marked on the pattern, but you've probably forgotten by now that the double notch goes at the back and the single notch at the front! 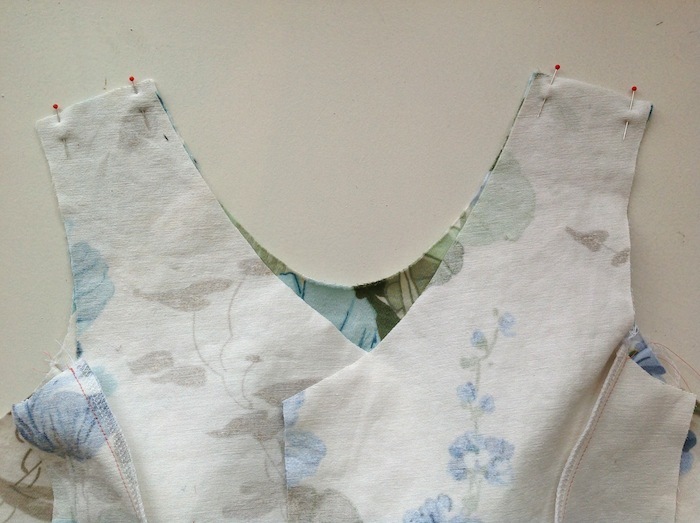 Stitch into place, easing in the slight fullness at the sleeve head in the same way as you did with the princess seams. The sleeve is not designed to be ruched or pouffy; it should fit in perfectly with a little easing in of the curve. 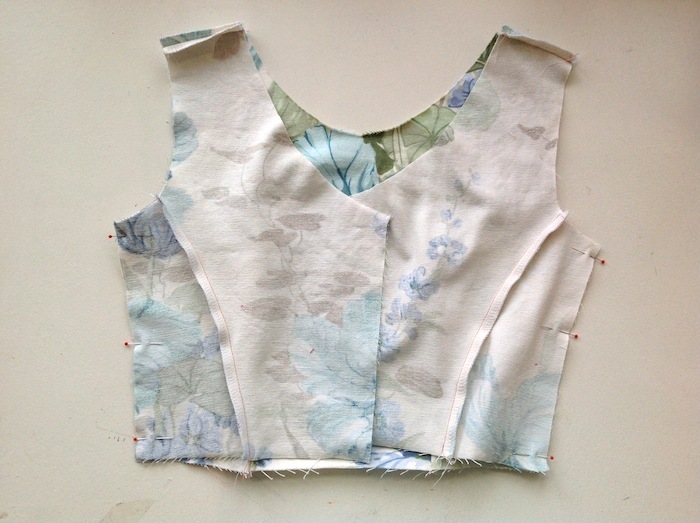 Finish the excess seam allowance and press towards the bodice. 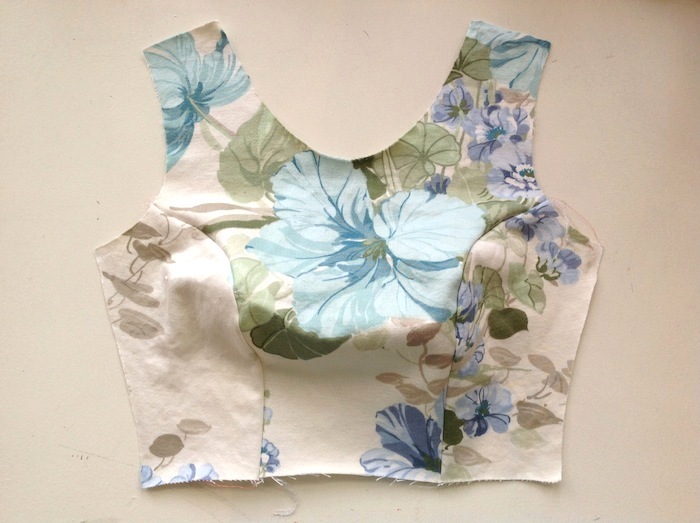 With right sides together, put your lining onto your bodice, almost as if you were dressing the bodice with the lining. 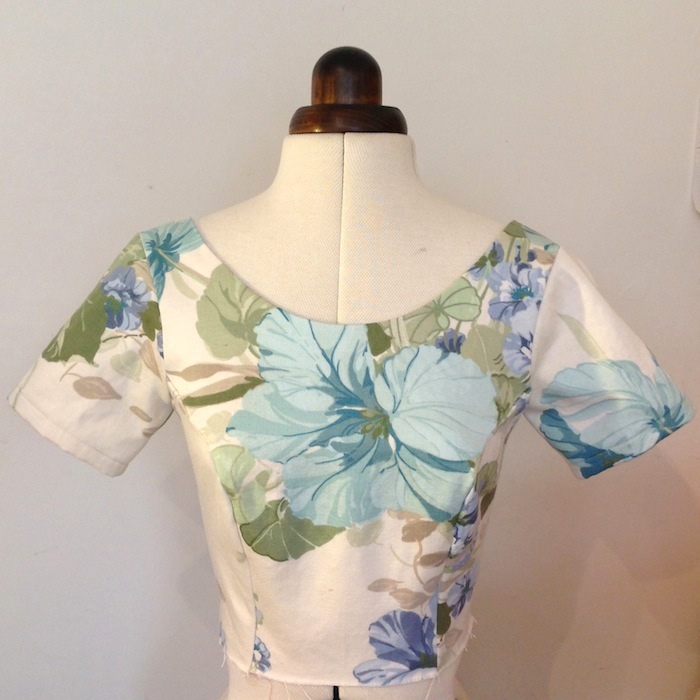 Pin them together at the neckline, matching shoulder seams, Centre Front and Centre Back openings. 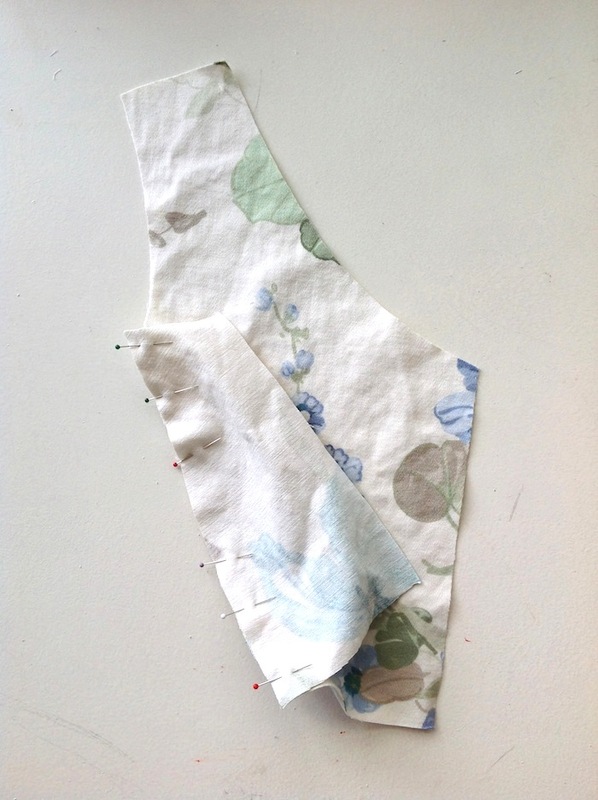 Stitch into place, and snip the seam allowance at the curves - this will make turning it to the right side much easier. You could also trim the excess seam allowance at this point too. 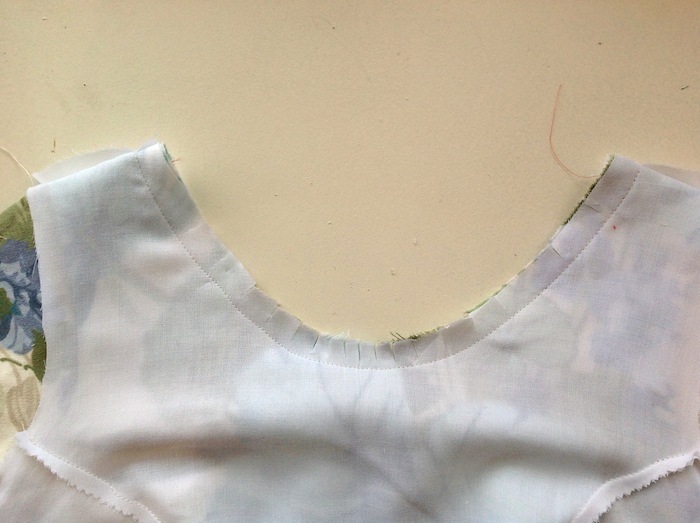 Turn the bodice right side out, and press that beautiful neckline seam. 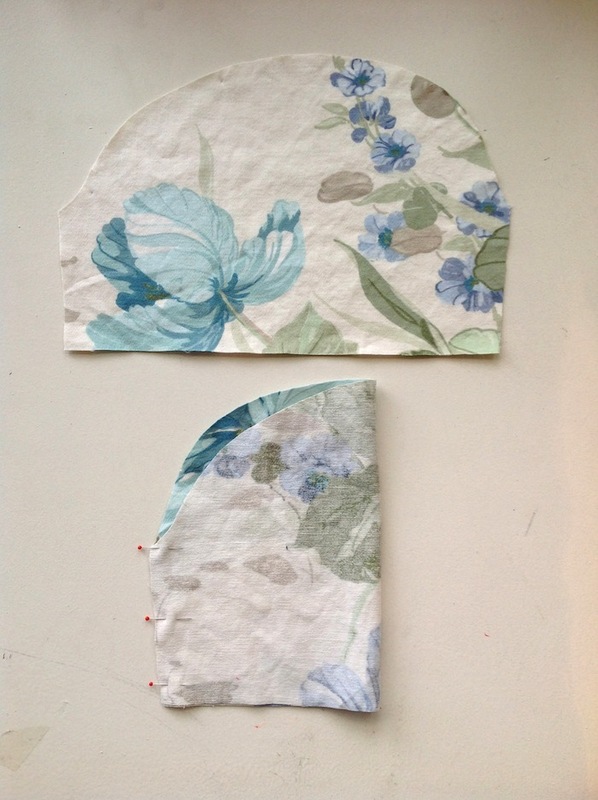 Make sure that the lining isn't poking out over the main fabric! You could now topstitch the neckline for added security or even as a feature - simply stitch 1/4" from the edge all along the neckline. We haven't done it this time as we're really digging the flawless finish. And that is that for today guys! 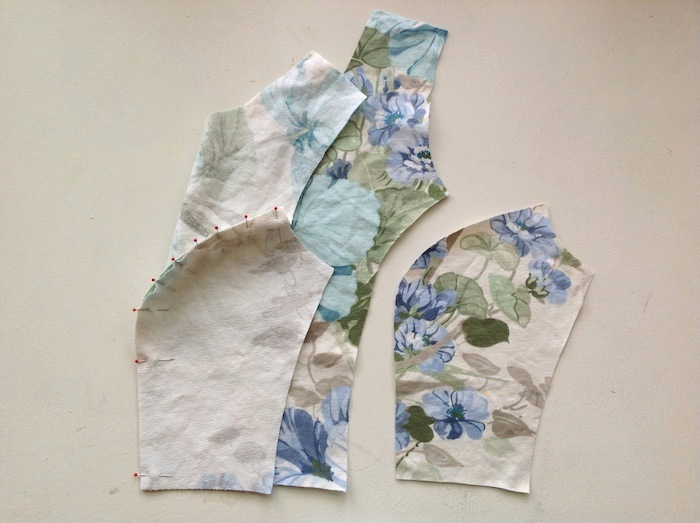 Before we go into the construction of the tulip skirt, we'll be back soon with a little tutorial on how to add side seam pockets - not just to the Elisalex Dress, but to pretty much anything with a side seam! Until the next time, ciao for now! Too-tight Sleeves— I have huge shoulders and fear there is no way the sleeve size that corresponds with my bodice (sz 6) will fit my body. 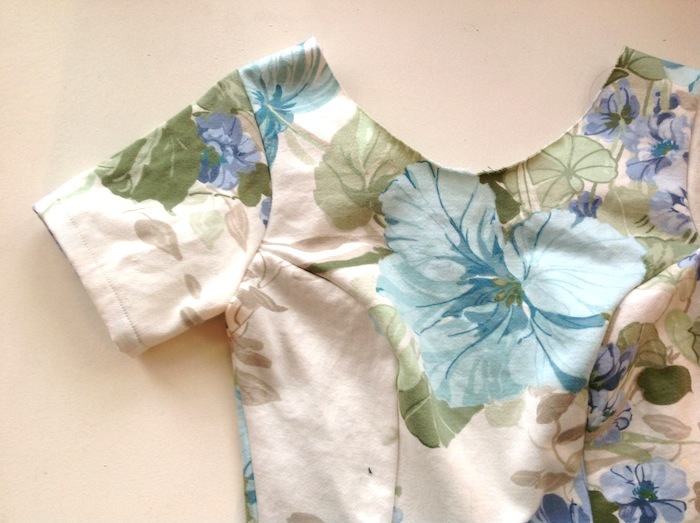 How do you recommend modifying sleeve patterns? What happens to the armscye of the lining? Is it finished? 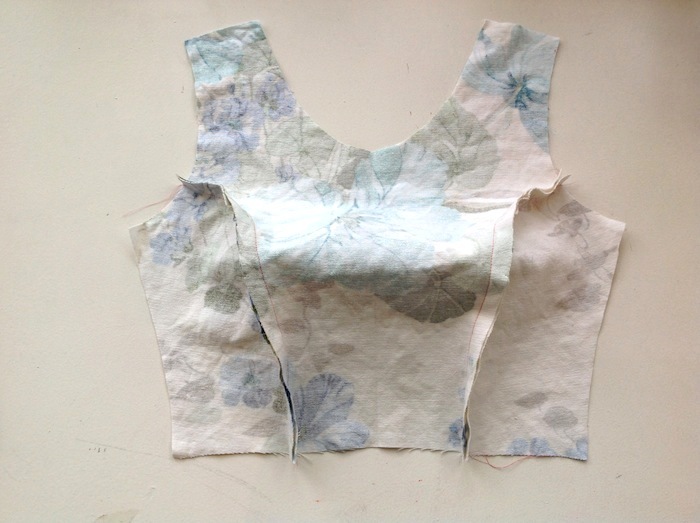 Attached to the bodice?